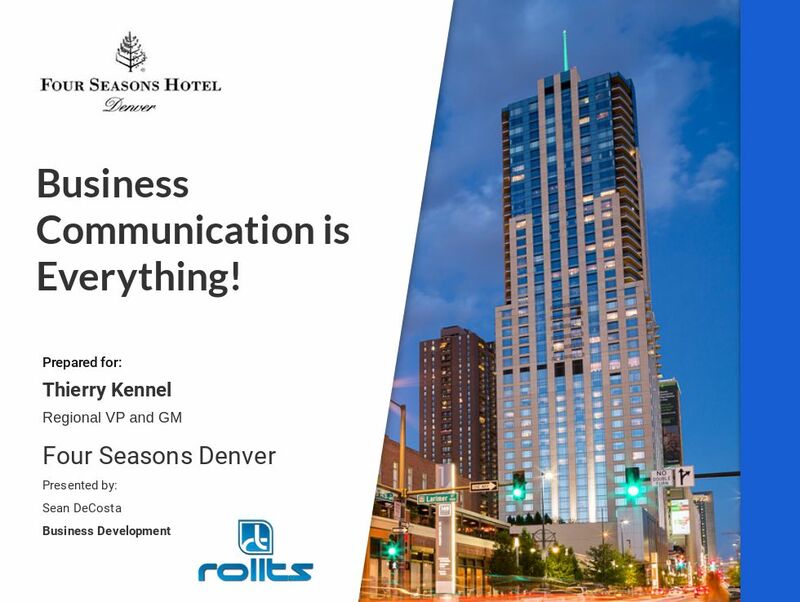 To give Four Seasons Denver the ability to control the work environment at the speed of sounds and feel the pulse of your work force. Over the years, businesses have tried many forms of communications to increase productivity, from instant messaging, to text messaging, to unified communications and collaboration. As it turns out, PTT is still the preferred choice when fast, accurate, and coordinated communications and teamwork are essential, such as in mining,manufacturing, warehouses,events, utilities, oil and gas,hospitals, retail stores, schools and public safety.